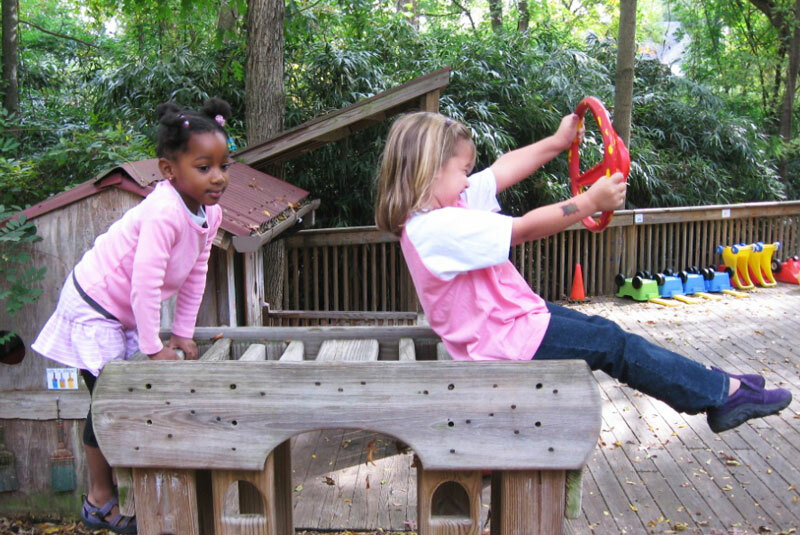 Play is the primary activity of early childhood, and the first priority of the Children First curriculum. By play we mean any constructive activity that the child initiates, plans and directs. Play is made up of challenges children set for themselves. Play is simple sensory exploration in the rice table; the first tentative pokes and pats on a hunk of clay; a stack of three blocks you call a tower; and lying down on the futon with a friend who pats you and says “Now, Now baby.” Play is also (and eventually) building a snowplow with five headlights out of blocks and flashlights; connecting foam pieces and pipe cleaners to make a powerful magic wand; pedaling a friend around on a rickshaw trike and making stops at the ice cream store to order two vanillas and one chocolate chip; wrapping yourself in scarves, making a cake out of clay, and inviting a friend to get married; hauling dozens of buckets of water across the playground to flood a river; and writing a prescription for your sick baby bird at the vet’s office you’ve built with big blocks. Play is what kids do naturally and best, so it follows that they feel positive about their capabilities when they play often, and when their play is honored and supported by adults. Through play, kids propel their own development and come into their own power. 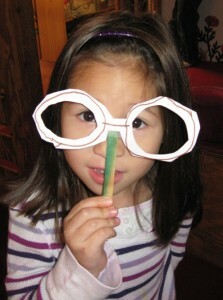 In her play, the child chooses what helps her to construct herself.